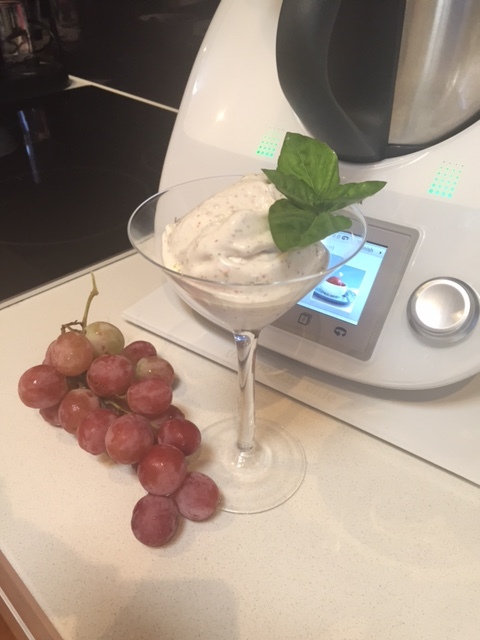 If you’ve ever been to a Thermomix demo, you’ve probably been wowed by the sorbet! 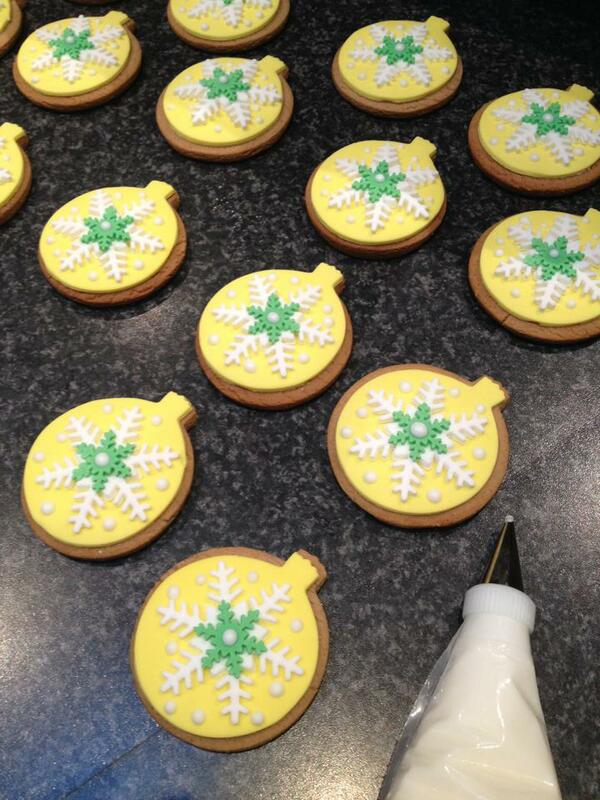 My favourite comment from a demo so far has to be ‘Oh Caroline….you had me at icing sugar’! 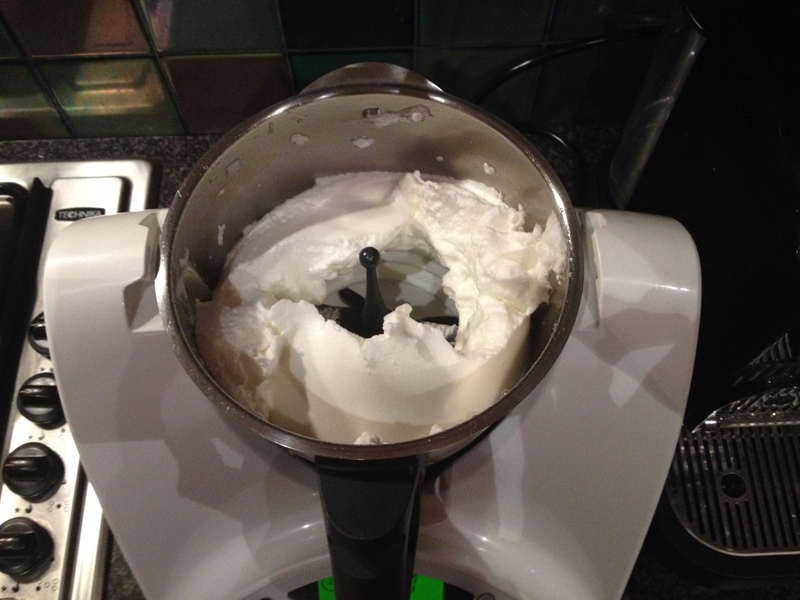 You can also use your Thermomix to make instant soft serve ice cream. Instead of using ice & frozen fruit for a sorbet, a Fruity Dream is made from frozen fruit, so the texture is more creamy. By adding the Butterfly Whisk in the last stage of the recipe, you incorporate air, which produces such a light dessert. This fruity dream recipe is for the adults, as I’ve found kids don’t really appreciate the basil. It may sound like an odd combination, but trust me, it’s absolutely delicious. 1) Place sugar in TM bowl, mill 10 seconds/speed 9. 2) Add frozen fruit, chop 10 seconds/speed 8. Scrape down the sides of the bowl & chop again 10 seconds/speed 8. 3) Scrape down the sides of the bowl, add the egg white & chop 10 seconds/speed 8. 4) Insert Butterfly Whisk. Mix 40-60 seconds/speed 4, or until a soft & smooth consistency is reached. 5) Serve immediately or store in the freezer in a container. You can use green grapes, however I prefer the colour the red grapes give to the ice cream. You can use any frozen fruits or berries to make your fruity dream! 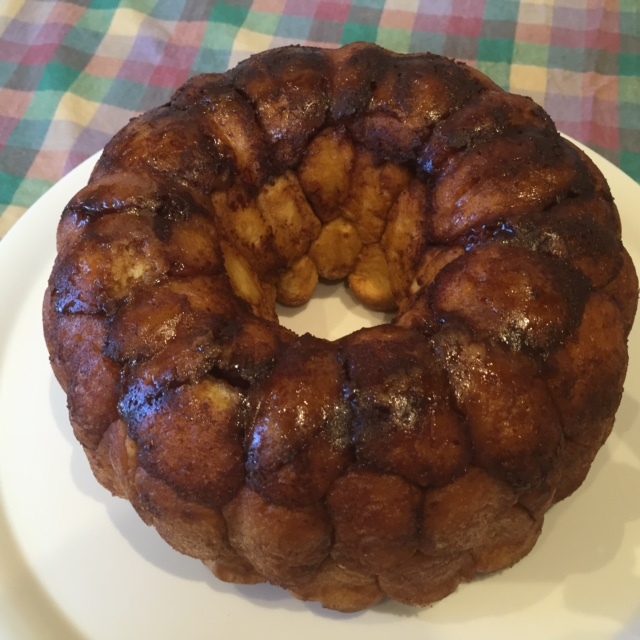 If you love Hot Cross Buns, Monkey Bread is an addition to your Easter feasts that you’re sure to love! Served warm, in the middle of the table, you’ll be able to pinch off balls of sweet, soft pastry that have been rolled in butter & cinnamon sugar! Baked in a Bundt tin, it will be a centrepiece on your table that is sure to get your friends & family talking. You can mix this up a bit too – add some cinnamon & mixed spice to the dough in step 1. You could also add some sultanas or currants to the dough, so it’s more like a hot cross bun (see notes). For a dairy free option, you can substitute the butter for coconut cream. 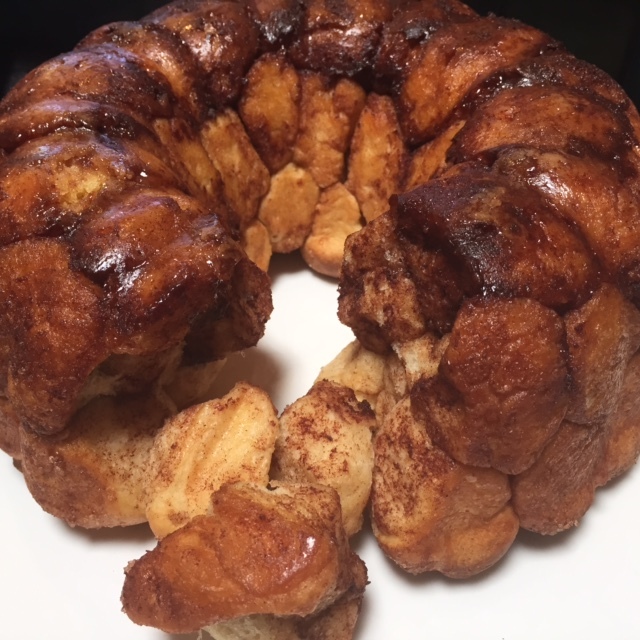 If you prefer a healthier Monkey Bread, check out Quirky Cooking for her Spelt Hot Cross Bun Monkey Bread. The sweet dough in this recipe is a basic sweet bun recipe, that you can use to make things such as sweet scrolls, finger buns, add fillings or cover with icing or sugar glaze. 1) Add all dough ingredients into your TM bowl, in the order listed in the recipe. Mix 40 seconds/speed 3. 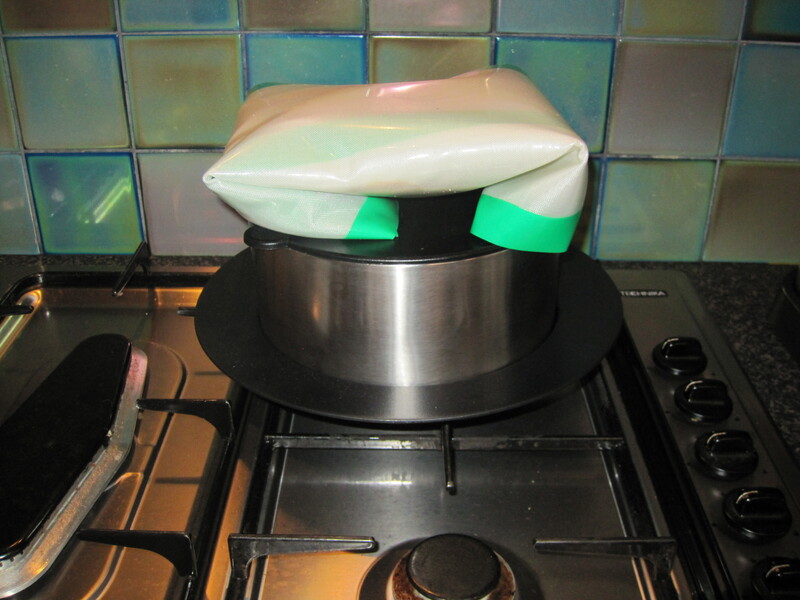 3) Transfer dough to a ThermoMat, wrap & let it rest/prove for 30 minutes in a warm spot, or until doubled in size. 4) Once proved, place the dough on your Thermomat or floured surface & knock back the dough with your hands. 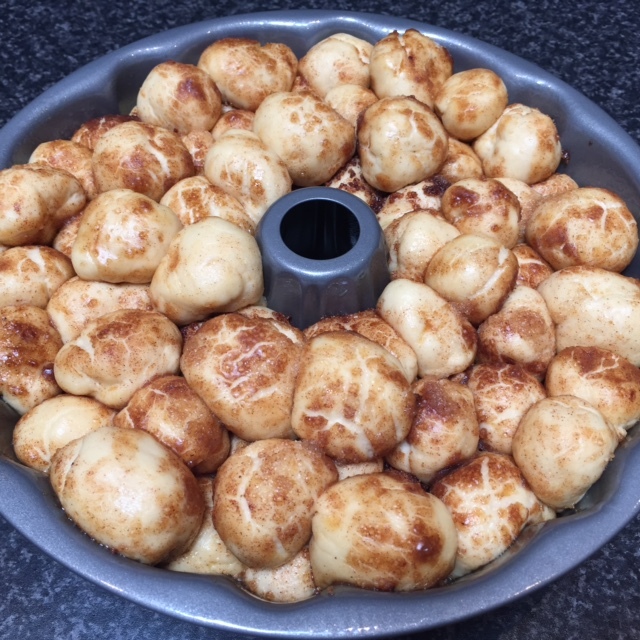 5) To assemble the Monkey Bread, place 150g butter in TM bowl, melt 3 minutes/65 degrees/speed 2. Set aside in a small bowl. In a separate bowl, place sugar & spices & mix together. 6) Grease your Bundt tin well, with butter or non stick spray. 7) Pinch off walnut sized pieces of dough & roll into balls. Roll the balls in melted butter, then in the cinnamon sugar mixture. Place balls in your tin, making sure you keep the level of balls even around the tin. Drizzle over any remaining butter. 8) Cover with a clean tea towel & allow to prove in a warm place for 30 minutes. 9) Place tin into a cold oven & turn on to 180 degrees. Bake for 25-30 minutes. 10) Allow to cool in the tin for 5-10 minutes, then serve warm. If you add sultanas or dried fruit to your dough, add them for the last minute of kneading (step 2). If you’re having trouble finding a warm place to prove your dough, pour boiling water into your ThermoServer & place your dough on top. The heat that comes trough the lid will be enough to prove your dough. 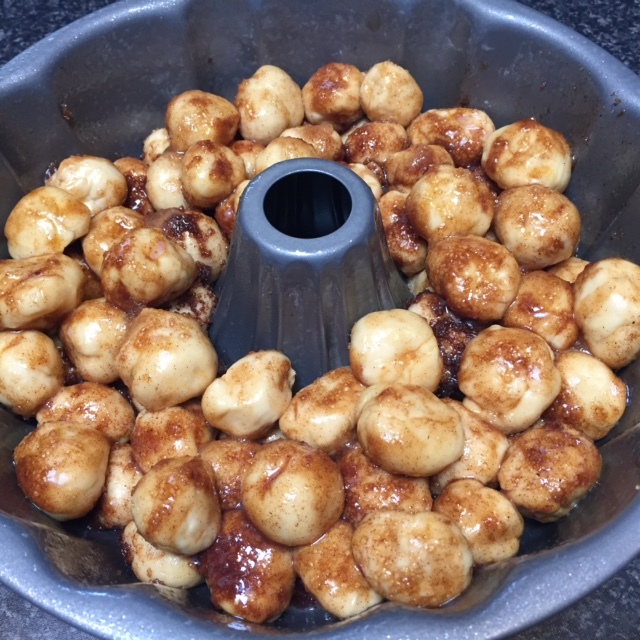 When you roll the dough balls in butter & sugar, keep them at an even level around the tin, as the top of this tin will become the base of your Monkey Bread. This has been proved for a further 30 minutes (I just sit the tin on top of my ThermoServer full of boiling water). Look how much it’s risen! 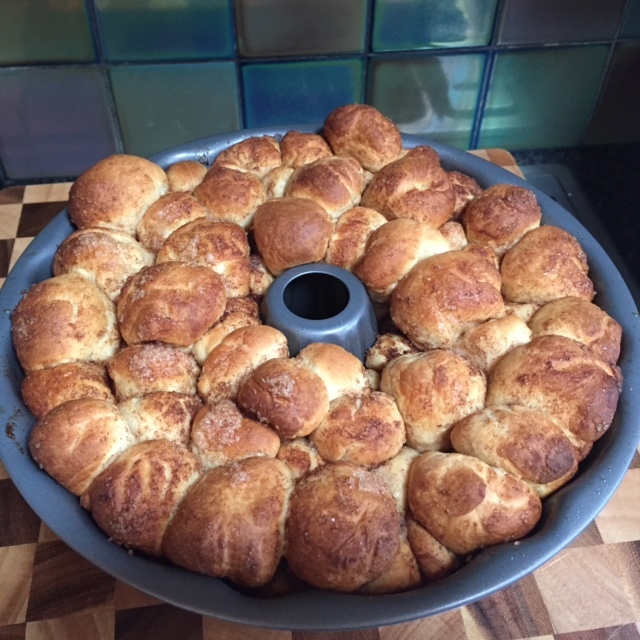 The Monkey Bread has just come out of the oven & smells amazing! Allow to cool for 5-10 minutes & then turn out onto a platter & serve. This is definitely best eaten warm, as the dough is so light & fluffy, however, my kids have enjoyed a few balls of this everyday for the last few days. 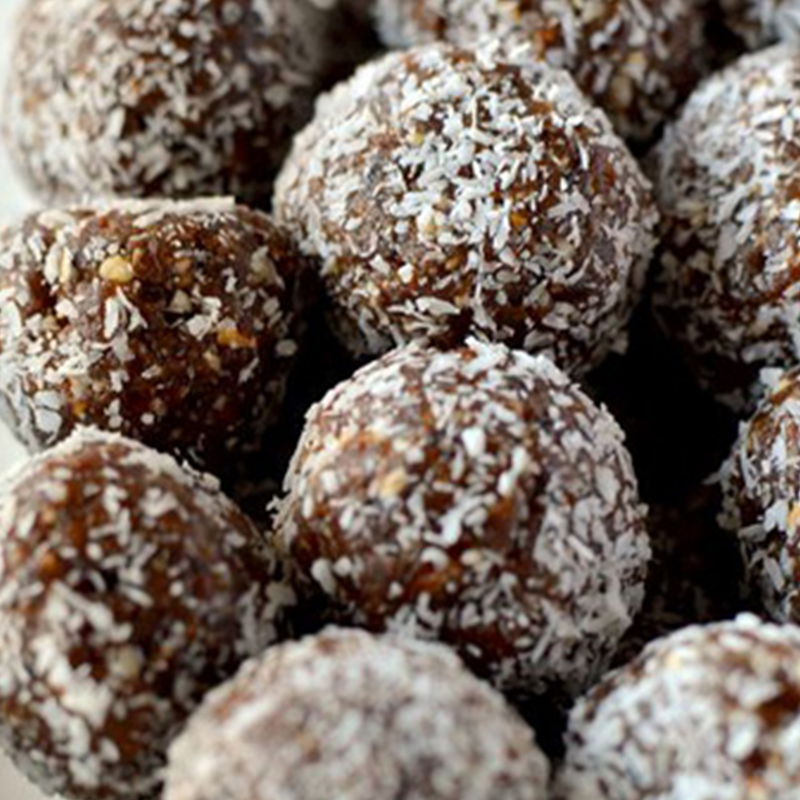 It’s great as a treat or snack – even a few balls in the lunchbox. If you don’t have a ThermoMat, use a stainless steel bowl greased with olive oil & cover with glad wrap instead. I was chatting with a girlfriend of mine recently about sweets & baking, when she told me about an amazing recipe for choc chip cookies. She’d come across them on ‘Rebecca Judd Loves’ website (yes, Juddy’s wife). 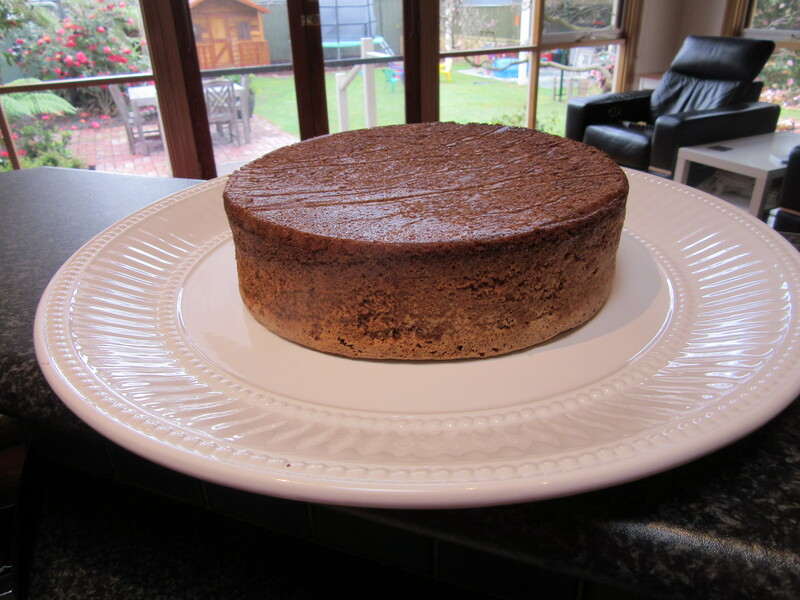 I promised my girlfriend I would look up the recipe & make them in my Thermomix. I’m so glad I did, because not only are these very easy to make, they are AMAZING! 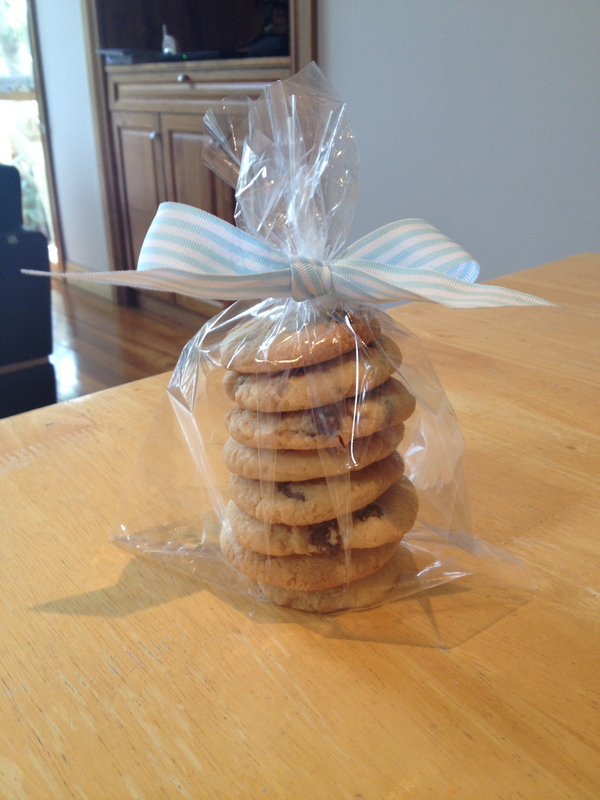 The cookies are lovely & crunchy. The condensed milk & coconut really make these cookies very moorish! On her website, Rebecca explained that this recipe is from ‘Edmond’s Cookbook’, which is very well known in New Zealand & are also known as ‘Sante Biscuits’. 1) Pre heat oven to 160 degrees C (fan forced). 2) Place butter, sugar, condensed milk & vanilla in TM bowl, mix 20 seconds/speed 4. (If the butter is cold from the fridge, place in TM bowl first & soften for 1 minute/50 degrees/speed 1 – then follow the remainder of step 2). 3) Add flour, coconut, & baking powder. Mix 8 seconds/speed 4. Scrape down sides of bowl & repeat 8 seconds/speed 4. 5) Roll into balls & flatten with a fork onto greased or lined baking trays. 6) Bake for 15-20 minutes. 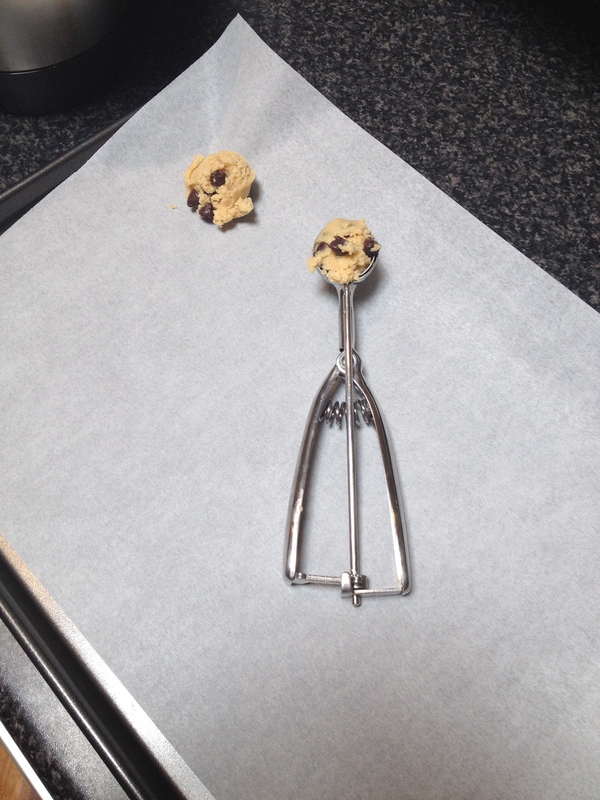 I use an old fashioned ice cream scoop to portion my cookie dough. This ensures the cookies are all the same size & cook evenly. Just take care towards the bottom of the TM bowl that you don’t scrape it. 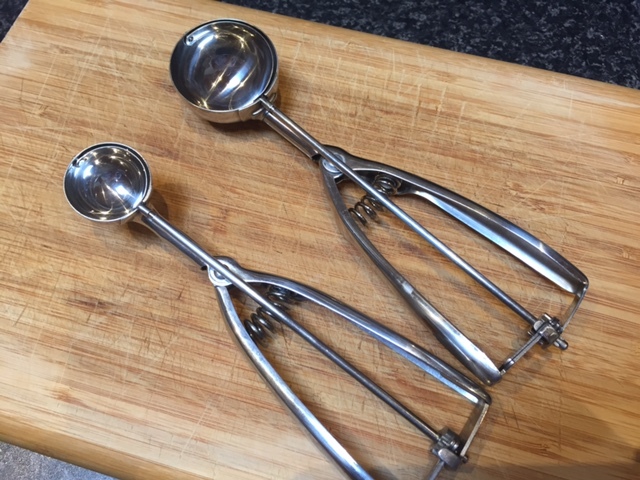 I have 3 different sizes of ice cream scoops that I also use for making cupcakes too. 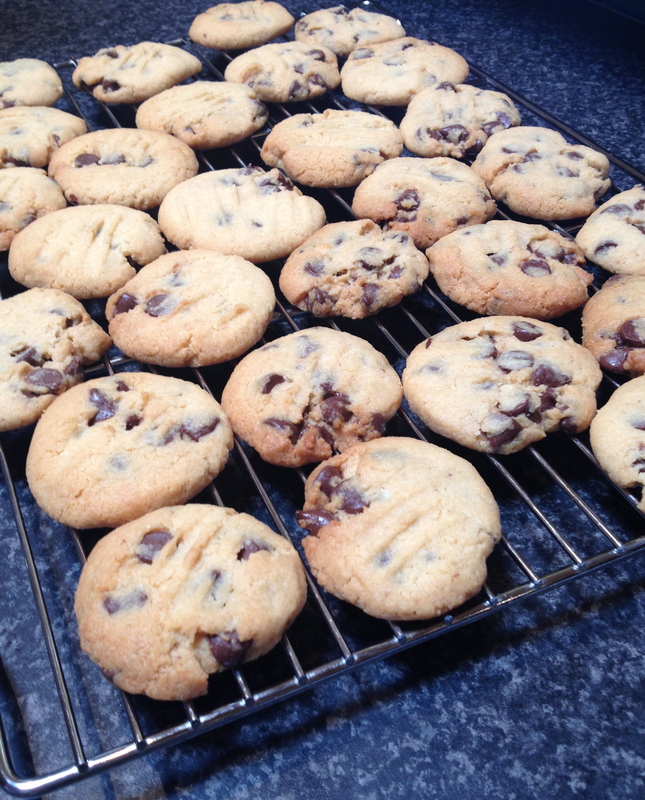 I never like to waste food, so given I only needed a small amount of condensed milk, I’ve frozen the rest in 50ml portions to make these cookies again. I was at a girlfriends house recently & I was browsing through her vast collection of cookbooks. I noted that we both had Neil Perry’s cookbook ‘Good Food’. My friend then told me about an amazing cake from his book. It’s a carrot & almond cake & as I read the recipe, I noticed ingredients like ground nuts, ground biscuits & whipped egg whites. Of course I had a light bulb moment & thought, hello, Thermomix! 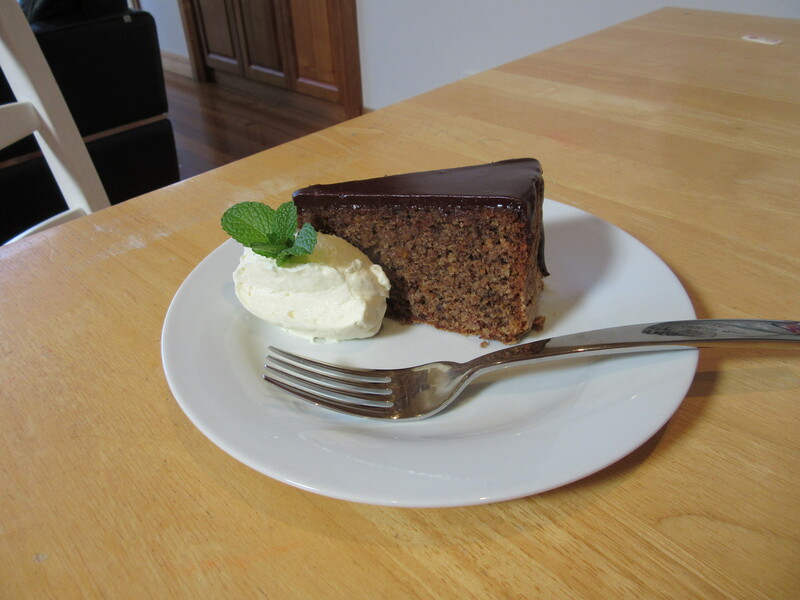 I made the cake a week later & served it dusted with a generous amount of icing sugar. 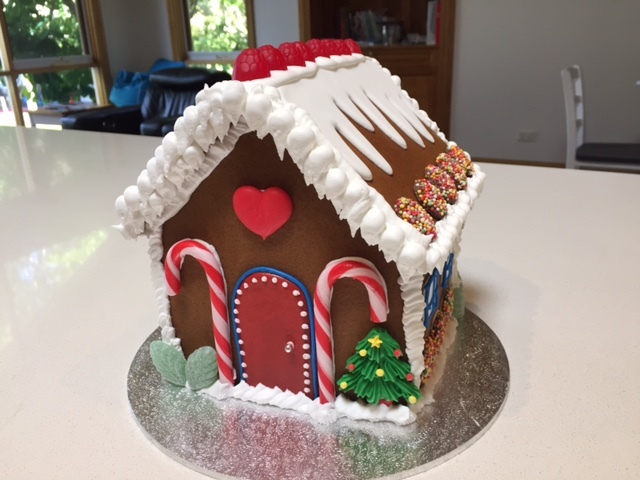 It was lovely & of course very easy to make in my Thermomix. As I was eating it though, I thought it would be even better with some chocolate, so here’s where I’ve tweaked the recipe, along with converting it to Thermomix method. I hope you enjoy this cake as much as I do! 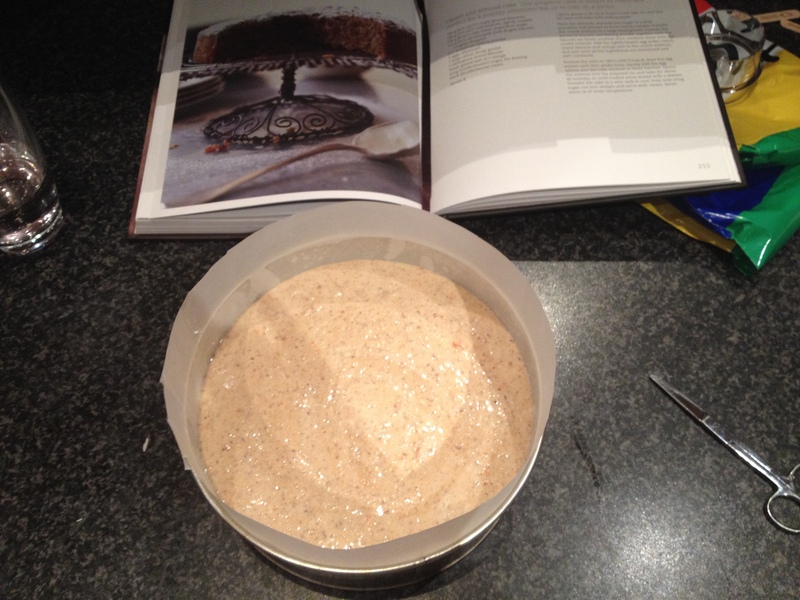 1) Preheat oven to 180 degrees C (fan forced), lightly grease a round cake tin, then line base & sides with baking paper. 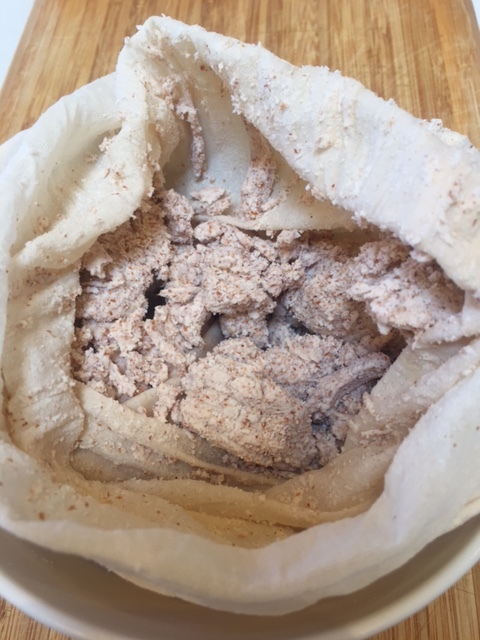 2) Place nuts, sugar, biscuits & baking paper in TM bowl, grind 10-15 seconds/speed 9. Set aside in a large mixing bowl. 3) Without cleaning TM bowl, add carrot, chop 5 seconds/speed 6. Add Grand Marnier, egg yolks & grated zest, mix 10 seconds/speed 3. Add this to the crumb mixture in the mixing bowl & mix until all ingredients are moistened & well combined. 5) Gently fold whipped egg whites into the cake mixture in 3 batches. Pour into prepared cake tin & bake for 1 hour. When it’s cooked, the top of the centre of the cake needs to feel quite firm to touch. 6) Allow the cake to cool in the tin for at least 30 minutes before removing & cooling on a wire rack. If time allows, let cake cool completely in the tin. You can even leave in the tin overnight covered with glad wrap. To serve the cake, the top of the cake becomes the bottom, so the bottom of the cake is now the top & flat. 7) To make the ganache, place chocolate pieces into TM bowl & grate 10 seconds/speed 8. Scrape down the sides of the bowl. 8) Add cream, melt 3 minutes/50 degrees/speed 3. 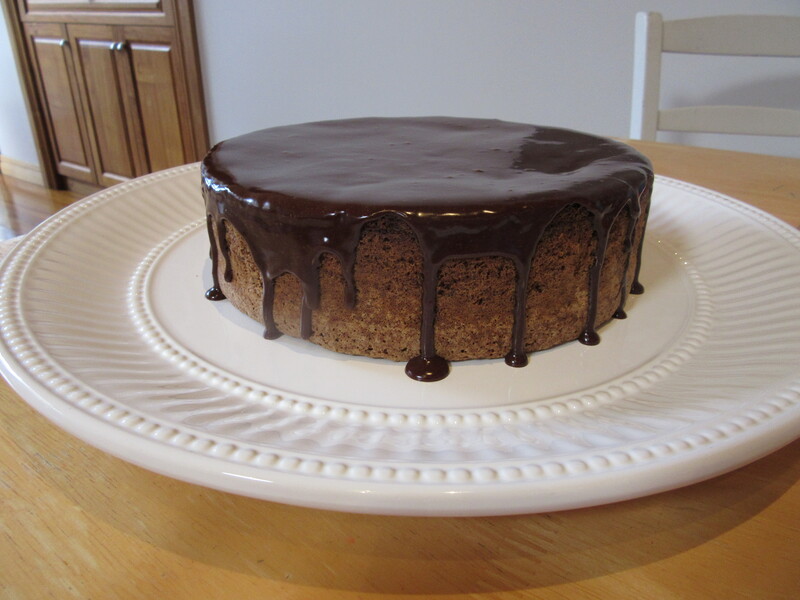 9) Working quickly, pour ganache over the cake & gently smooth up to the edges of the cake. Very gently give the ganache a push over the edge of the cake, so the chocolate drizzles down the sides. This must be down quickly though, as the ganache will thicker as it cools. 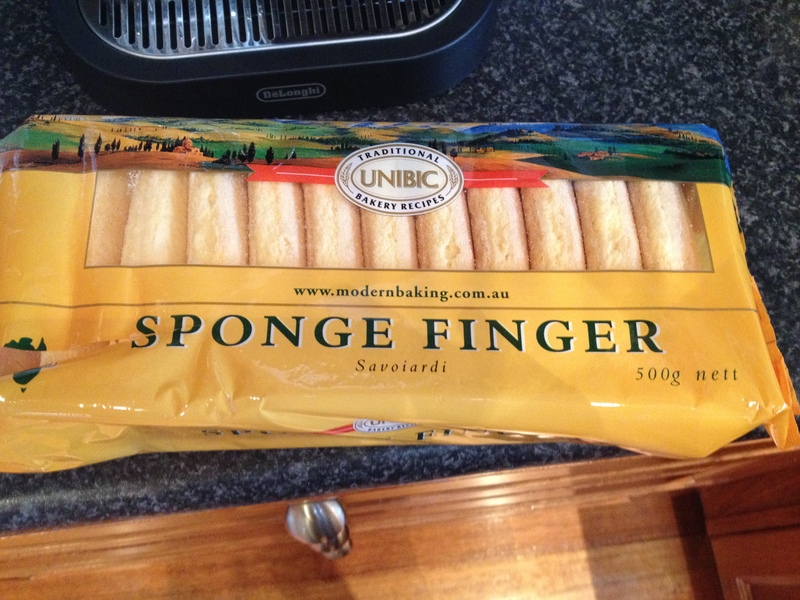 I had no idea what Savoiardi biscuits were, but I found them in Coles with the sweet biscuits. It’s always best to line your tin with baking paper on the base & sides, even if your tin is non stick. It will give you a much more professional looking cake once it’s cooked, cooled & removed from the tin. 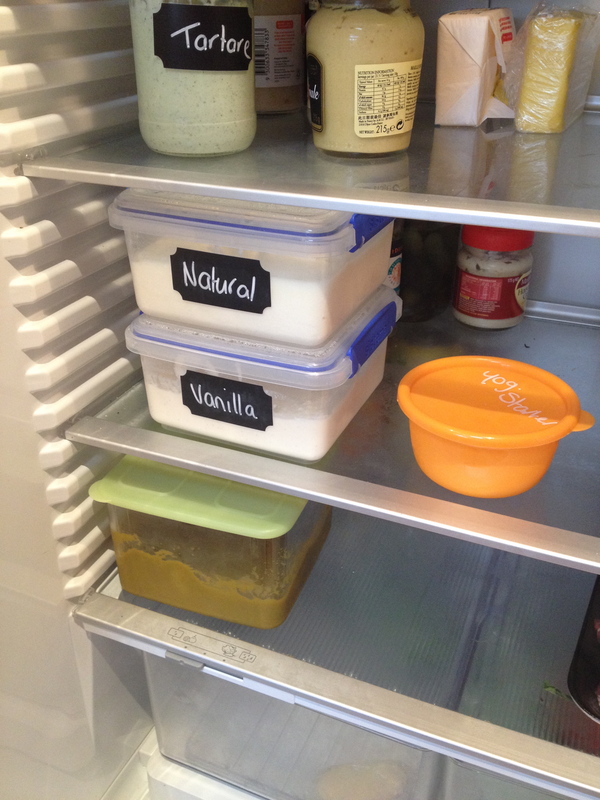 I always have two yoghurts on the go in my fridge – Natural for myself & for coking & then Vanilla for the kids. 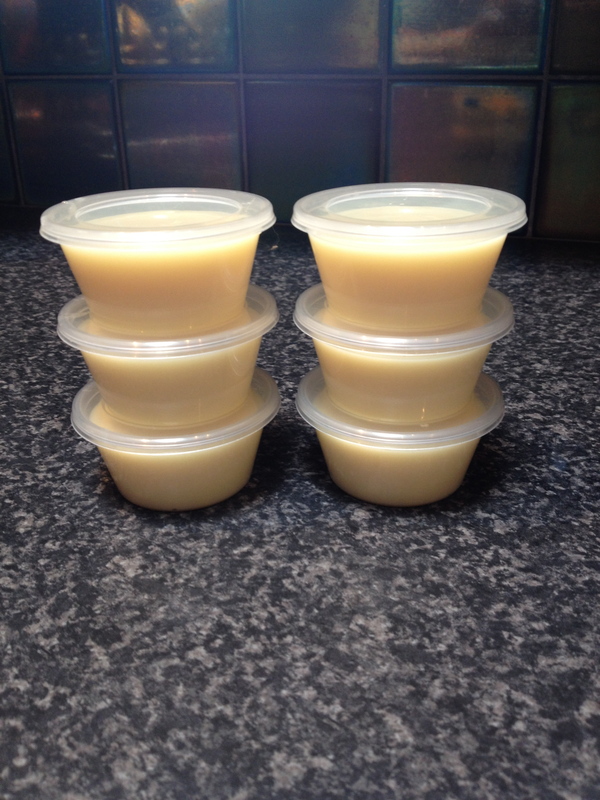 If you haven’t done so already, check out my Make Your Own Yoghurt post. The most important thing to do first though, is always take 3 tablespoons of yoghurt for your next starter, before you add your flavouring. 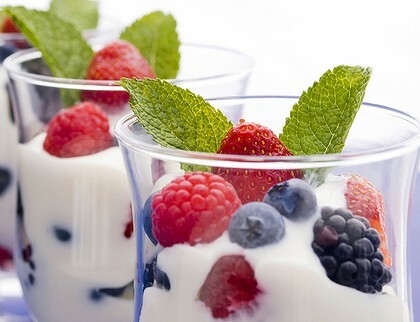 Follow these directions to flavour your natural yoghurt. 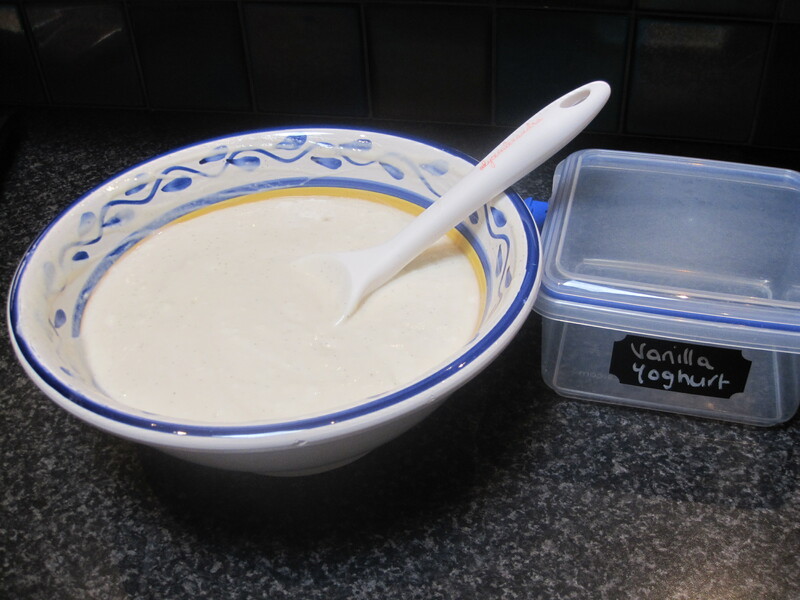 I make Vanilla yoghurt for the kids, which they love on it’s own. 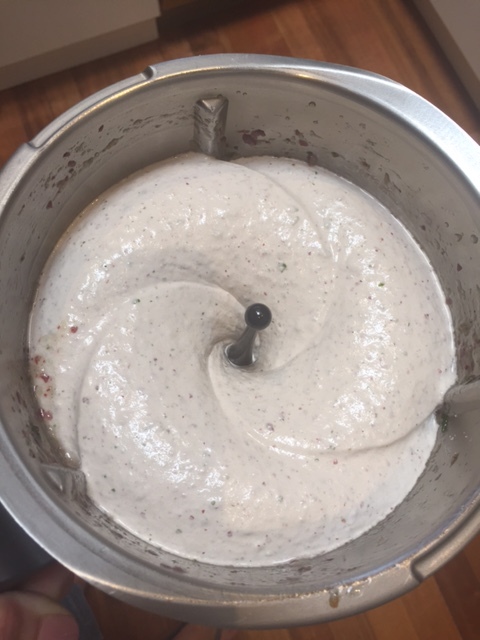 I’ll then often add to that fresh fruit, passionfruit or make my own berry coulis in my Thermomix (see below). Stir ingredients well into yoghurt & refrigerate for at least 3 hours before serving. 1) Place all ingredients into TM bowl, cook 6 minutes/90 degrees/speed 4. 2) If you prefer a smoother coulis, puree 10 seconds/speed 8 after cooking. Serve coulis once cooled & store in the fridge for up to 3 weeks.